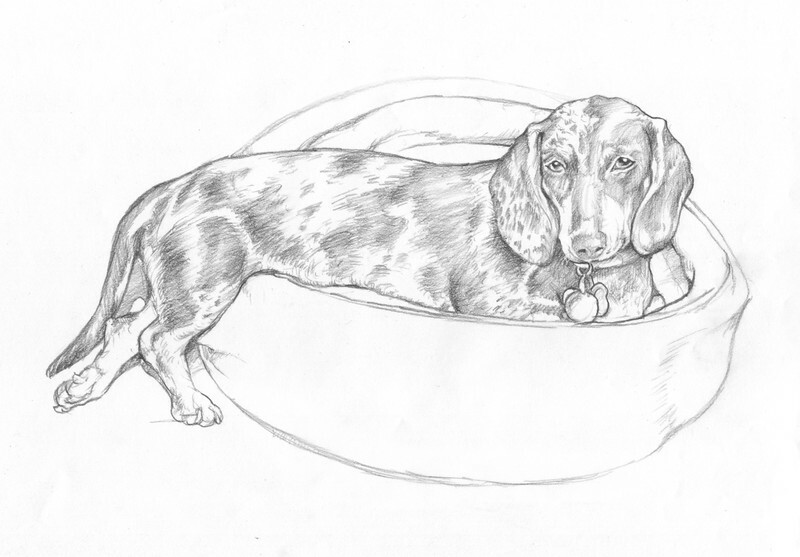 Sarah the dachshund outgrew her bed. Graphite sketch on heavy archival museum paper, unframed. Signed graphite sketch on heavy archival paper: Available for $115.00 unframed, not including shipping. Limited Edition.